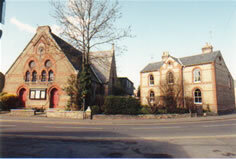 The former Methodist Church premises are now leased to the trustees of the Cottenham Community Centre and include a thriving coffee shop. A Methodist Minister has been stationed in the community since 2010 under the Venture FX scheme. This project is intended to focus on people in the 20-40 age group and develop new approaches to forming church in the community. There is close collaboration with Anglican, Baptist and Salvation Army leaders in the village.